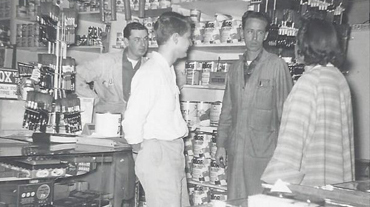 John Byrd Frentz owned and operated a soda fountain and apothecary in the early 1900’s before opening his first hardware store in 1925. It was located on the west side of Detroit on Wyoming Avenue between Plymouth and Chicago Roads. At the time, he traveled with his family to visit with relatives who lived in Imlay City. As they headed north by street car from Detroit, there was a turnaround at Main St. and Catalpa in Royal Oak. 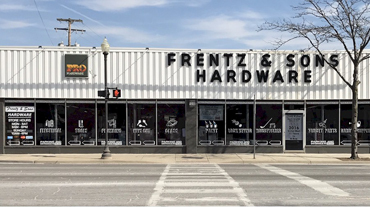 On one of their frequent trips, John Frentz noticed a hardware store and a house behind it on Gardenia that was for sale. 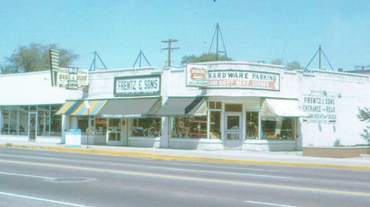 The year was 1932 and John and his two sons, George and Russell, purchased the business and home and formed Frentz & Sons Hardware Co., Inc.
As the years went on and more room was needed to house back stock for both the hardware and the newly added toy department, the house was moved to 2927 N. Main St. in 1943 and a two-story warehouse was constructed in its’ place. 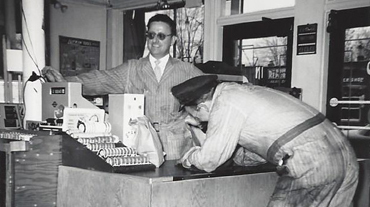 Eventually, Russell left the hardware to join the Army and J.B. Frentz retired and George began to oversee the day to day operation of the business. In 1963, the City of Royal Oak decided to reconstruct the intersection at Main Street where Gardenia and Catalpa intersect due to left turn congestion. The decision was made to direct the road around the hardware with a parking lot in the back. The store entrance was then moved to the rear of the hardware. 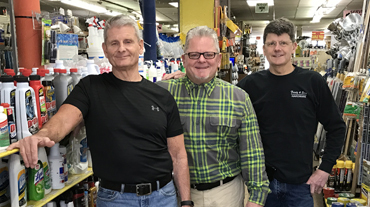 Eventually, George’s sons, John, Kim, Michael and George Jr. (Chip) and daughter Sally, began working at the store with their father and their mother, Alice. Alice died in 1987 and in 1991 George Sr. passed away leaving the business to his children. 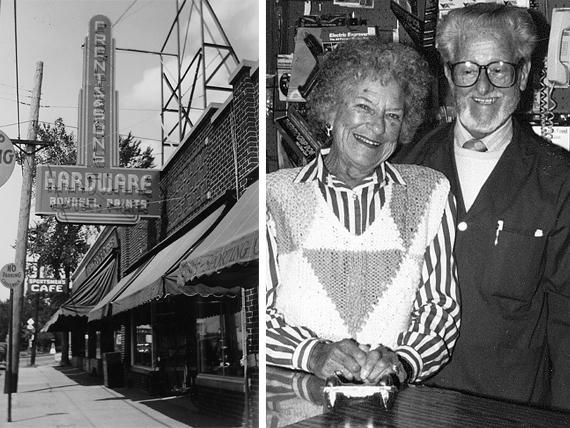 Other the years, many of the grandchildren of Alice and George Frentz have worked in the family business and continue to be involved to this day. 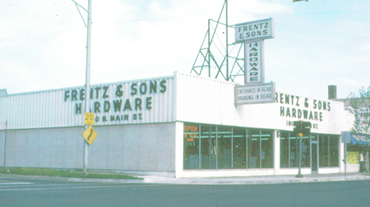 Today, John B., Michael R., and George W. Jr. Frentz together own and operate Frentz & Sons Hardware Company, Inc. at 1010 North Main, Royal Oak, Michigan.